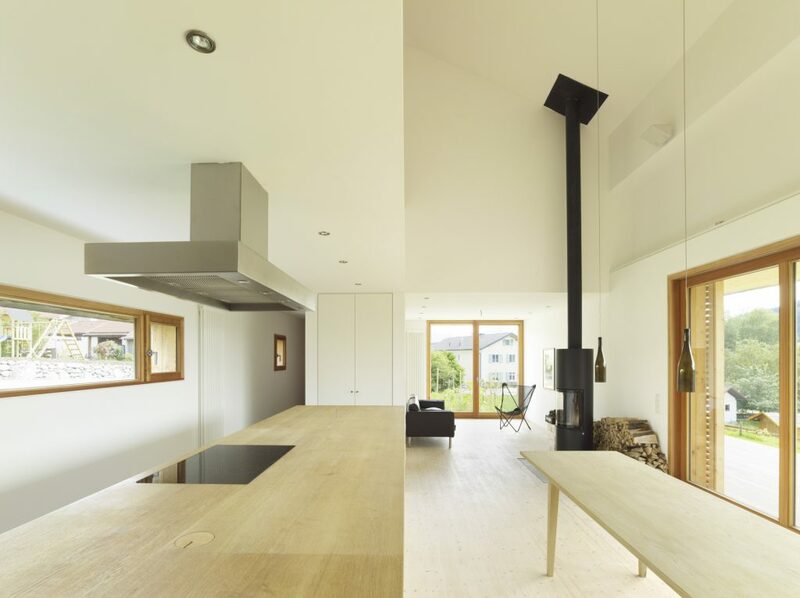 | Barn | The holiday home is located at the edge of the village of Rosshaupten on Lake Forggen, on a drumlin that was used as the first village expansion in the 1950s. 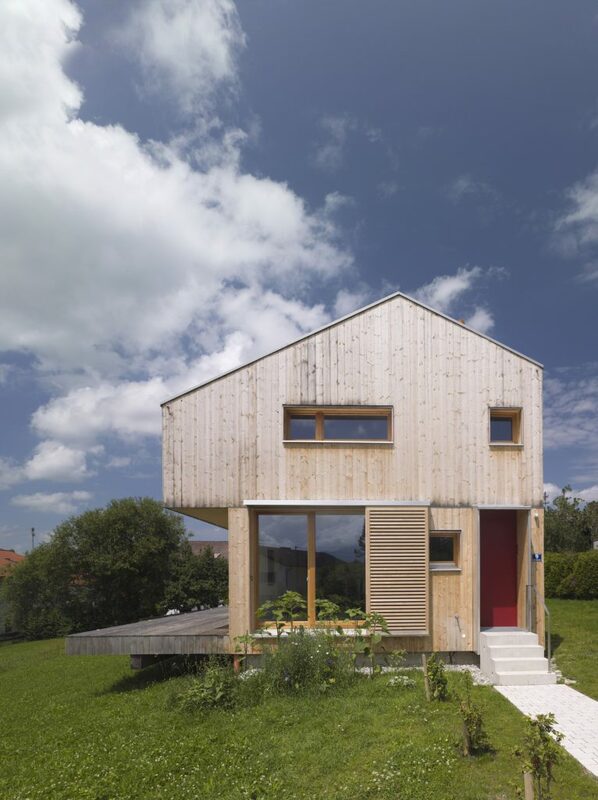 The building is oriented parallel to the gently sloping hillside. 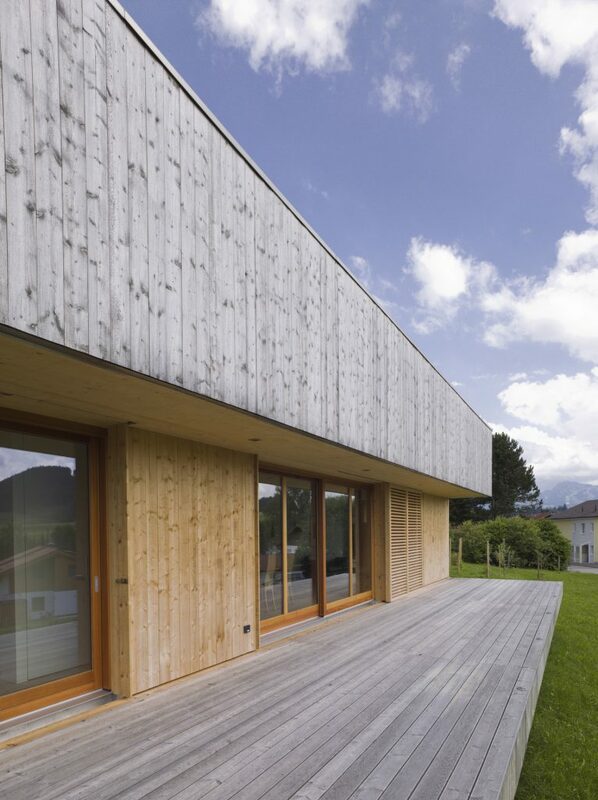 The western facade is entirely open to the magnificient Alpine panorama. 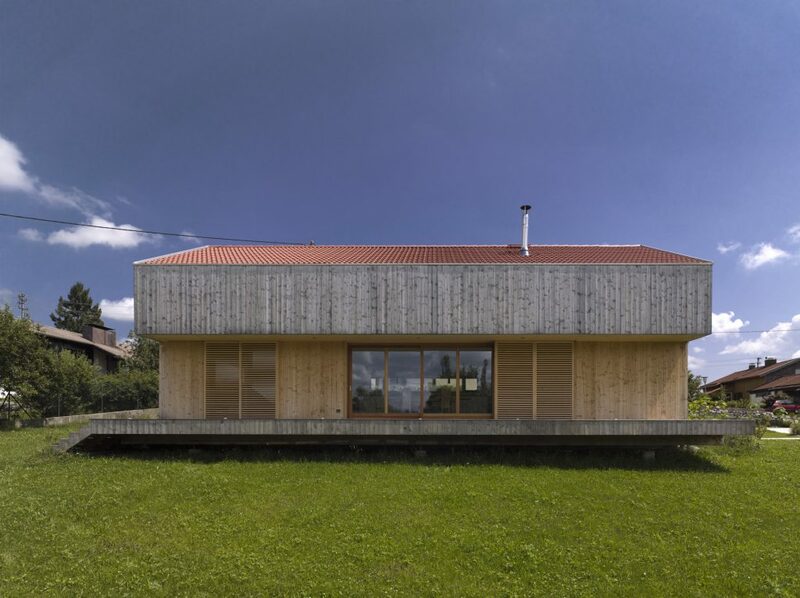 In reference to the wooden barns so typical of the alpine lowlands, the building is entirely constructed of timber covered with spruce wood siding. Resting on a foundation ring, it leaves the topography of the angled terrain in its original form.